Mon-Thu 10:00 a.m. 6:00 p.m.
Small engines with a lot of punch. Tougher than the other outboard motors in its class with more electrical output. 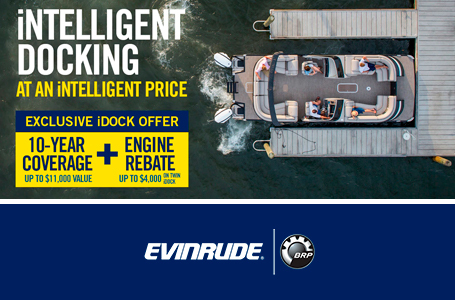 And with the incredible Evinrude tiller, you're in total control of your engine. And your time on the water. Instant Throttle Response: Every revolution is a power stroke. That means twice the power strokes of a four stroke. Plus, the lightning-fast microprocessor is the “brain” of the engine that delivers the perfect fuel mix directly to the combustion chamber for immediate response, so you can get to your destination before anyone else. 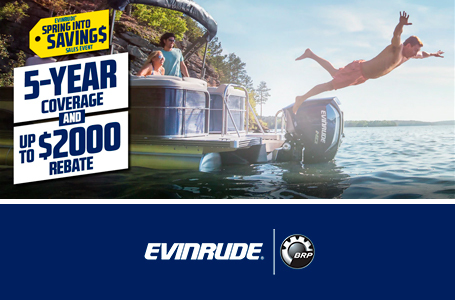 More Available Amperage: All Evinrude E-TEC engine have bigger alternators providing, nearly twice the available amperage of competitive engines. Avoid lights dimming out when you need it most and maximize charging for all your accessories. Worry-Free Maintenance: No break-in period, and no oil changes. No dealer-scheduled maintenance for 3 years or 300 hours. 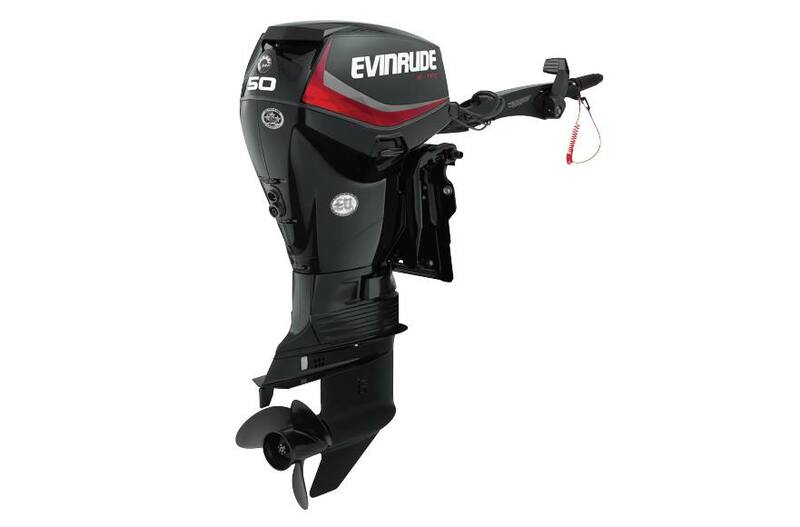 High Output Series: The Evinrude E-TEC H.O. series are performance engines to the max. Each engine is tuned for extra power and speed. If you like pushing limits in horsepower, speed and torque, then consider our High Output Series. (734) 287-6180 11643 Telegraph Rd. Mon-Thu: 10:00 a.m. - 6:00 p.m.